I would like to take this opportunity to welcome you to the Racine Police Department. Racine is located on the western shore of Lake Michigan and lies between Milwaukee and Chicago, and has a highly diverse population of 81,855 people. 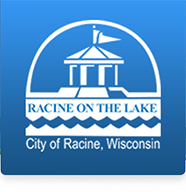 The Racine Police Department prides itself for being dedicated to community involvement, professionalism, and high quality service to our citizens and visitors. One part of our mission is to be accessible to the community. To help us accomplish this mission we have developed this web site to bring our department right to your computer. I invite you to browse our site and collect any information you need. If you cannot find what you are looking for, please contact me at (262) 635-7714 or mailto:Arthel.Howell@cityofracine.org .